What Does 1 John 5:4 Mean? For whatever is born of God overcomes the world; and this is the victory that has overcome the world--our faith. There are three specific things that the Christian has been instructed to overcome - the world, the flesh and the devil.. and in each case, we have been equipped with the tools to do just that. James informs us, that when we submit ourselves to God, and resist the devil - he will flee from us.. and Paul lists the weapons of spiritual warfare, which we will need to overcome this spiritual enemy, at the end of his epistle to the Ephesians. 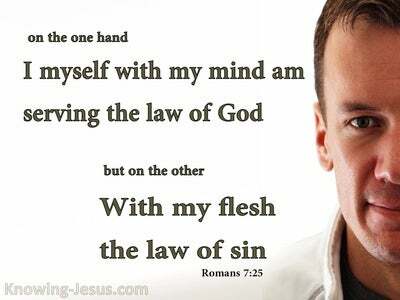 The short answer to overcoming the works of the flesh, is to walk in the spirit and adhere to the truth.. and the Word of God gives many helpful instructions on how to be filled with the spirit, so that the lusts of the flesh will be starved of their sinful desires. But it is John who explains what it means to overcome the world. 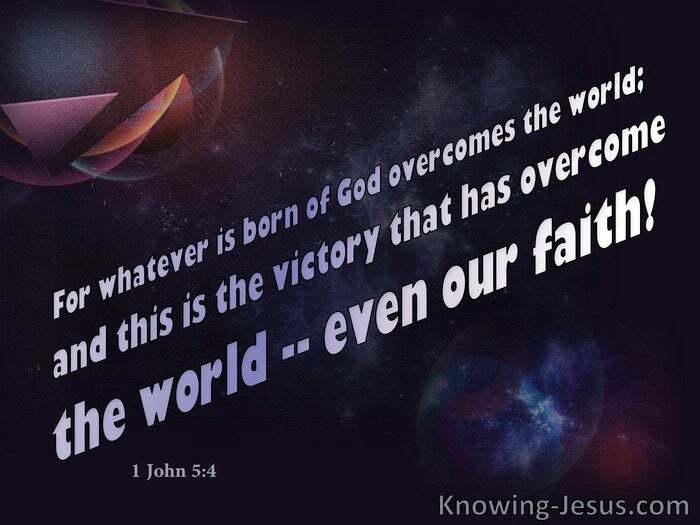 Whatever is born of God overcomes the world; and this is the victory that has overcome the world—even our faith!! It is our faith that overcomes the world. 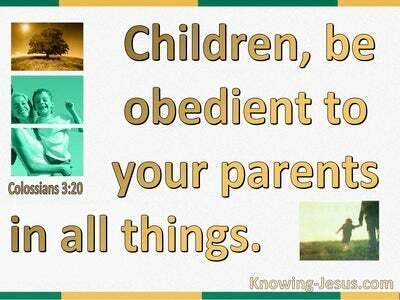 But faith must have an object.. and the object of our faith is Jesus Christ. 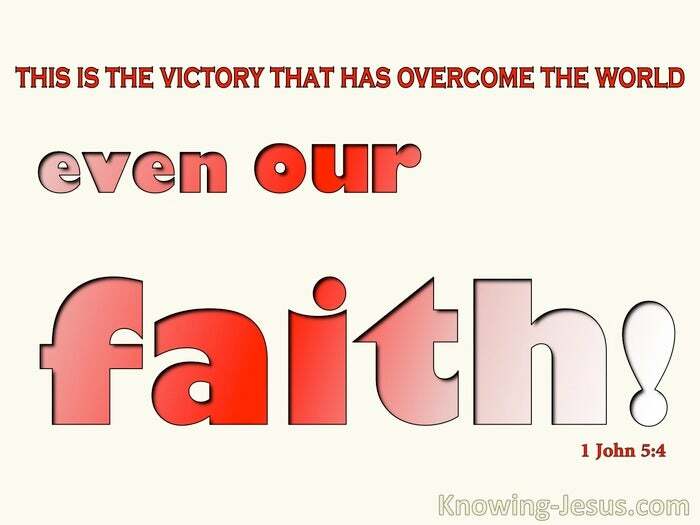 It is our faith in the Person and Work of the Lord Jesus that gains victory over the world. It is trusting in the death, burial and resurrection of Christ Jesus our Saviour, for the forgiveness of sins and life everlasting, that overcomes the world. 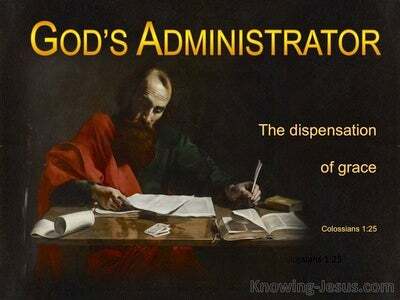 It is our identification with Christ and His finished work by FAITH, that causes us to be overcomers. Indeed, Jesus Himself said.. these things I have spoken unto you, that in Me, ye might have peace. 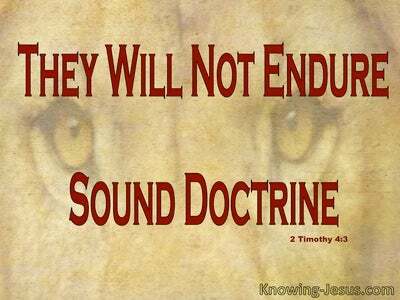 In the world ye shall have tribulation: but be of good cheer; I have overcome the world. Jesus lived a perfect life and died a sacrificial death, and all who trust in Him are identified with HIM, and His victory. We are identified with His life. We are identified with His death and we are identified with His victory over sin, death and the world. Because the Lord Jesus has overcome the world.. all who trust in His name have also overcome the world.. by association with HIM. As members of Christ's body by faith, we are accepted by God, in the Beloved, and have also overcome the world - by faith, in the Beloved Son of God. By faith in Christ, we have overcome the ungodly world system that is saturated in sin and seeks to entrap us all in its many and varied temptations and enticements. And God has given us all we need to not only overcome the word - but also to overcome the flesh and the devil. Let us live and work to His praise and glory - for He alone deserves all honour and glory, for He alone is worthy. Heavenly Father, thank You for Jesus, and His sacrificial work on the cross. Thank You that He has already overcome the world.. and that by faith in Him, I too am an overcomer. Thank You that I have been born of the Spirit and have been clothed in His righteousness, and thank You that I am accepted in Christ. May I submit my life to You entirely, and live each day in spirit and truth, to Your praise and glory - this I ask in Jesus name. AMEN.